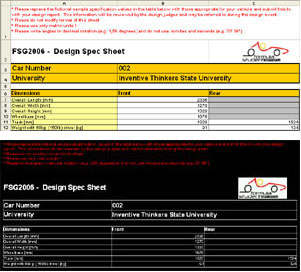 UDM Downloads > AcadExcel CAD Table Tool! Every engineer who use Autodesk AutoCAD know that AutoCAD is a very powerful CAD software. Using this software, you can save much time and improve your work quality. But when it comes to draw a Table, it's not convenient at all. It's really boring and knotty to add a table to your AutoCAD drawing. You have to draw many lines, add many text objects to build a table. If you are a creative engineer, you don't like waste so much time on this simple and repetitive work. Now you can try AcadExcel to help you. AcadExcel is a AutoCAD "add in", designed for handle table in AutoCAD. Using our AcadExcel, you can use MicroSoft Excel as a table editor. You can create, edit, modify or import table for AutoCAD drawing quickly and simply. If you had learn how to use Excel, it will be enough for you to use this softeware. You neend't to learn any more. It's a convenient tool for every one.